end. They work professionally, communicate candidly and routinely." "We have used Tom and Tracie to sell two of our homes and to buy our current house. They have a professional attitude and helped us through the process of buying a short sale which can be long and difficult. They are super people to work with and my wife and I would highly recommend them." "My thoughts about Tracie is that she is the whole package. She was a huge help to us moving into a new area. She was instrumental in helping us find new carpet, water softener, and other companies that helped us make our new home ours. Not only did she help us find the right people but each recommendation turned out to be a good experience. Additionally, she came to our home to let these people in to do the work. Once the sale was completed, Tracie continued to provide good resources and even today if I needed her she would be there for us! My favorite thing about Tracie is she ALWAYS follows up on any request or task. I never had to remind her of what needed to be done. Her staff is polite, helpful, and ALWAYS return phone calls in a timely manner. When you walk into the office you get the feeling that this is a real team. Anyone of them would be able to help a client. Moving is a very stressful life event. The staff provides a calm (along with Tracie) atmosphere for the client. "Tracie and her team were fantastic. Based on her knowledge of the area, she provide me several options to choose from that were in my best interest and would sell my home quickly. Where I anticipated my house was going to be on the market for a long time, she was able to sell in three days. I felt that she and her team went way beyond what you might expect from a typical realtor. There were may things that I thought I would have to deal with or take care of in order to make my home marketable, but she and her team took care of them from setting me up with a dumpster, hiring a cleaning crew (thanks Aarika) and getting the septic tank pumped and repaired. Any problems or needed anything they were there." "Tracie was a pleasure to work with on the sale of our home. We valued her professionalism, depth of real estate knowledge, and the personal interest she took in meeting the needs of our family. She recognized the challenges our family faced when it came to managing home showings and the moving process with a toddler and offered wonderful suggestions to make the process easier. Tracie consistently responded promptly to our questions and even made the process fun. We feel fortunate to have worked with her and certainly would recommend her to family and friends looking to buy or sell a home!" "Tracie, Tom and the entire staff at REMAX United are very knowledgeable, friendly and easy to work with. We would highly recommend them to anyone looking to list their property." "When we were considering selling our house and didn’t know who we wanted to list our house with so we had received a few fliers in the mail from Tom and Tracie Rich with RE/MAX United so we decided to give them a call. Tracie came out to our house and we liked her from the very beginning. Tracie was very knowledgeable and gave us good advice on what we needed to do to get our house ready to sell. She wasn’t pushy like some realtors that we had dealt with in the past and was very respectful of our wants and needs. Tracie sold our house very quickly and we got what we wanted on our asking price. We still stay in touch with Tracie and highly recommend Tom and Tracie Rich to anyone looking to buy or sell a house." "Tracie was able to accommodate many viewings and at all different times of the day, she really worked with our schedule. She gave her full and honest opinion openly which we regarded highly. She clearly ‘knew her stuff’. She made us feel informed and helped steer us to a house we really love. So glad we were able to work with Tracie! "I like her personal touch, she listens, gives advice and is very knowledgeable about the area. The office is professional, yet friendly. All the staff I have dealt with have been very quick to respond even on “off” hours." "At first, I thought Tracie was a little over the top! Very up front and honest and had us passing on things before we even looked... But she knew exactly what she was doing! We spent 3 months with her looking up and down the streets of Rockford. We placed 3 offers on 3 different houses each ending in more heartbreak than the last. She went to battle with a bank and Realtor just to get us an answer. She was available at all hours and answer every insignificant question I could come up with. At last we found the home we had been searching for. She was awesome through the whole experience (even though the experience is NOT awesome) and even checks up on us still and asks if she can assist in any way. I would never use anyone but Tracie and am glad she help us find our 1st home! "Tracie and her entire team at RE/MAX United handled our complicated sale from beginning to end with complete confidence and professionalism, making us feel comfortable while educating us on all our options throughout the process. Their recommendations were spot-on and made the process go smoothly. We really appreciated all the extra effort and after hours work that they put in to make our sale happen. They were always there for us before, during, and after the close. They made us feel like family members instead of just clients and we highly recommend Tracie and her team for any real estate needs." "We have done several real estate transactions with Tracie Rich and been most pleased with the superior, professional and timely service. Real estate transactions have many complications and details that must be taken care of properly. Tracie and her team have always been a great help." "Tom and Tracie did an excellent job helping us through our sale and purchase. They understood we were in a tough situation and were more than helpful and accommodating to what we needed. Even at times when we were frustrated and discouraged they were there to calm our nerves and even boost our spirits. I was also very impressed with the knowledge and skill they had throughout the process. They dotted all the i's and crossed all the t's and never stopped surprising me with how great they are at what they do. I can't begin to explain how their skill and knowledge helped ease me through the process. Even after our sale and purchase were finished they were there to take care of the issues that came up. It felt great knowing they were still there to help and protect us after the paperwork was signed. The sale and purchase of a home is such a huge undertaking and can be such a big risk it is very hard to trust someone with handling it all. I can honestly say that they never broke my confidence and there isn't anyone I would have or will ever have handle our real-estate needs other than Tom or Tracie. I can be very skeptical and hard to impress but they did, they impressed me every step of the way. Thank you again for seeing our deals all the way through! We will always be grateful for your help and expertise. "My family and I had to relocate to the Grand Rapids area in December of 2011. We made the decision to rent for a while until we found the home that would accomodate all of our needs. We started looking for our new home in June of 2012. Due to the fact that we did not have many contacts in the area, we chose our realtor by dialing the phone number on the sign that was in front of our dream home. That realtor was Tracie and Tom Rich. Tracie and Tom were amazing to work with. Although we were unable to purchase the dream home we originally looked at, Tracie helped us prioritize our needs to find the perfect home for my family and I. Tracie was detailed, easy to reach, always upbeat, willing to help us through the decision making process, professional, on top of the inspection process and incredibly knowledgeable about the area. All in all, Tracie made the transition from renting to buying a beautiful home an incredibly smooth process. I would recommend Tracie and Tom for so many reasons but the main reason is because they really do care about you! Thank you Tracie and Tom...you will be our realtors for life." 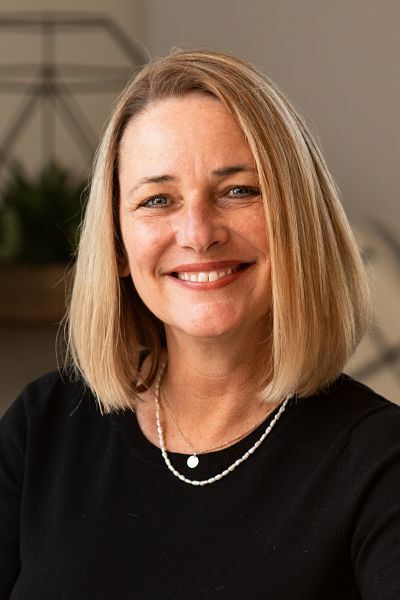 "Tracie Rich (along with her husband, Tom) is one of those realtors who is not only proficient in all areas of the real estate market, but has a true heart for buyers and sellers alike. Her honesty and integrity are evident in all she does. Even in a tough market, she continues to put others first. This is more than admirable in the public eye, and more than marketable for prospective customers." "My wife and I worked with Traci's office and her, but we primarily with Tom Rich her husband. We met with a few other Realtors but left unimpressed. When we met Tom we knew right away that we would love working with him. We were first time home buyers with not much money. This excited Tom and he treated us like we were going to buy a very expensive home. He was professional, honest, and great to my family. He also did a great job selling us to the sellers. We found a home within about a month and we love it! Thanks Tom!" "Thanks again for your great negotiating skills and hard work both Helping us find a GREAT house and For a price we could afford AND be happy with." "I just wanted to thank you for the great job you did for us. I know we are/were a pain in the rear end but you handled everything very well and did a great job. I can't thank you enough for not leaving us high and dry on the furnace situation was really nice as well. As we told you before that was not the case with our last home purchase and it really shows the kind of business you are operating and the kind of person you are. Thank you again, we really really appreciate it. I tell people all the time how great you were and will continue to do so." "Tom & Tracie did a great job selling my house. They are down to earth, patient, and have the experience to know what works and what doesn't. Thank you so much Tom & Tracie!!!" "I've trusted Tom and Tracie Rich to sell two of my homes, and we've become good friends over the years. Their business is friendly and community oriented and truly a positive force in the community." "A friend referred me to Tracie after I'd had a less than great experience trying to get help from other realtors. Talk about a night and day difference! Tracie walked me through my first offer, was responsive when I saw something I wanted to look at, and gave me lots of good information to consider in the process. I couldn't recommend her more highly!"